Mary Talusan Lacanlale is on the faculty of the Asian Pacific Studies Program at CSU Dominguez Hills. She teaches courses on Asian Pacific Studies including the Filipinx Experience and Asian Popular Culture and Globalization, and has served as faculty mentor to Pagsikapan Pilipino American Student Community and the Asian Pacific Islander Association. She holds a Ph.D. from the University of California, Los Angeles in ethnomusicology specializing on the music of the Philippines. Her scholarly work examines Filipino and Filipino American musical performances through the complex web of race-making, U.S. colonization of the Philippines, and contemporary cultural production. Recent publications include “Muslim Filipino Traditions in Filipino American Popular Culture” in Muslims and American Popular Culture (2014), “Marching to ‘Progress’: Music, Race, and Imperialism at the 1904 St. Louis World’s Fair” in Mixed Blessing: The Impact of the American Colonial Experience on Politics and Society in the Philippines (2013), and an essay in Philippine Modernities, Commemorating 100 Years of UP College of Music (2018)​. Her upcoming book with the University Press of Mississippi is entitled Instruments of Empire: Filipino Musicians, Black Soldiers, and Military Band Music during U.S. Colonization of the Philippines. Dr. Mary Talusan Lacanlale has received the Fulbright (IIE) Fellowship, Ford Dissertation Fellowship, and Mellon Postdoctoral Fellowship. 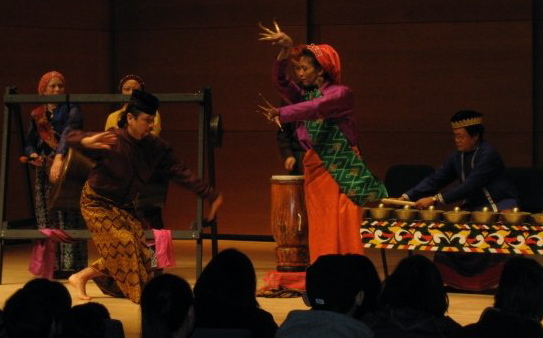 She performs the music and dance traditions of Mindanao, Southern Philippines with California-based Pakaraguian Kulintang Ensemble. Newly appointed as Interim Coordinator of Asian Pacific Studies Program at CSU Dominguez-Hills. Upcoming performance with the Pakaraguian Kulintang Ensemble and Malaya Filipino American Dance Arts at the Skirball, August 27, 2016!